Born at Porto, Portugal, November 7, 1962, graduated with a degree in Electrical Engineering from the University of Porto in 1986. He then pursued graduate studies at the University of Porto, completing a M.Sc. degree in Electrical Engineering – Systems in 1991 and a Ph.D. degree in Electrical Engineering in 1998. 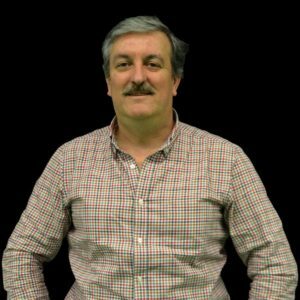 From1986 to 1998 he also worked as an assistant lecturer in the Electrical Engineering Department of the University of Porto. 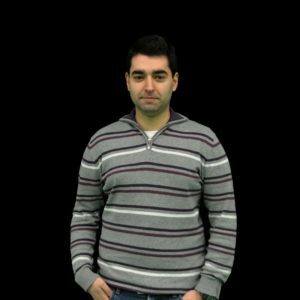 He is currently an Associated Professor in Electrical Engineering, developing his research within the Robotic and Intelligent Systems Centre of INESC TEC (Centre Coordinator). His main research areas are Process Control and Robotics. I was born in Porto, in January 1995. 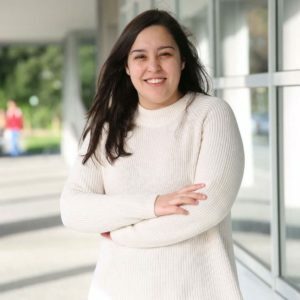 I graduated with a MSc in Electrical and Computer Engineering (major in Automation, specialization in Robotics and Systems) from the Faculty of Engineering of the University of Porto, in 2017. I’m always looking forward to learn new things, and I’m passionate mobile soccer robots. My fields of interest are robotics, software development and computer vision. Born in Leiria, Portugal, in July, 1985. Graduated with a M.Sc. degree in Electrical Engineering from the University of Porto in 2009. 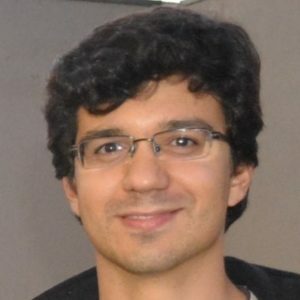 Since then, I have been developing my research within the Robotic and Intelligent Systems Unit of INESC-Porto (the Institute for Systems and Computer Engineering of Porto). My main research area is navigation and control of indoor autonomous vehicles. I hold a Master degree in Bioengineering with specialization in Biomedical Engineering from Faculty of Engineering of the University of Porto, Portugal. 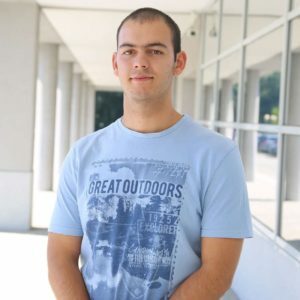 I landed a thesis proposal where I had to develop an autonomous robotic system with the ability to reproduce repetitive tasks in a lab environment. 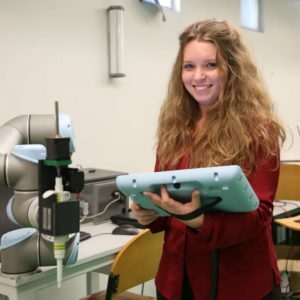 During the degree, the passion for applied robotics emerged, so I decided to pursue it in order to integrate and further improve the knowledge in areas such as mechanics, electronics, computer science and biomedics. 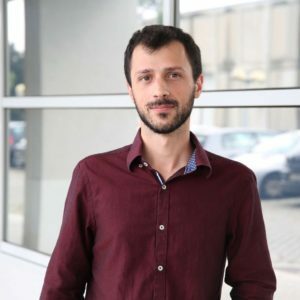 I joined the CRIIS group which belongs to INESC TEC, in September 2016 as a R&D engineer with responsibilities in developing new robotic solutions to handle industrial problems. My main activities include system mechanical modelation, electronics and software development. Henrique Rubio was born in Belo Horizonte, Brazil, in 1992. 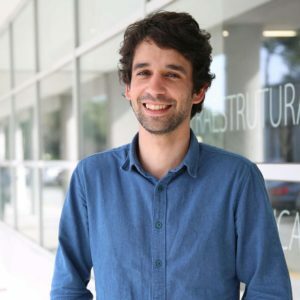 In 2011 he graduated in the Professional and Technical Course in Mechatronics at CEFET-MG, Brazil. 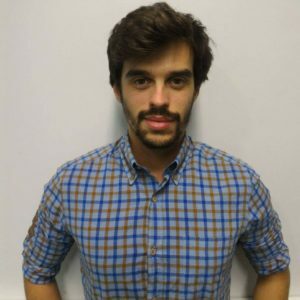 In 2012 he started his Bachelor’s Degree in Electrical Engineering at CEFET-MG, Brazil. 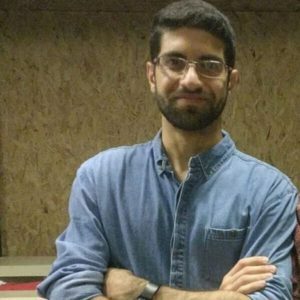 In 2014-2015 he participated in an exchange program (Science without Borders), in Valencia, Spain and studying Electronic Engineering at the Polytechnic University of Valencia. And in 2016 he moved to Porto, Portugal, moving his degree course. 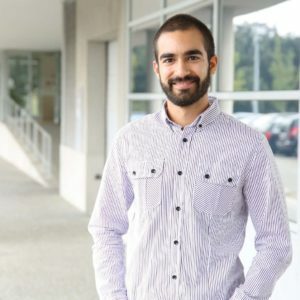 Currently, he is in the 5th year of the Integrated Master Course in Electrical and Computers Engineering at the Faculty of Engineering of the University of Porto – major area: Automation, specialization: Robotics. In 2016 I finished my master’s degree in Biomedical Engineering and Biophysics at the Faculty of Sciences of the University of Lisbon. 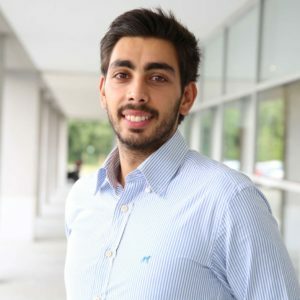 In the scope of my master’s thesis I had the opportunity to integrate the team of Centre for Robotics in Industry and Intelligent Systems (CRIIS) as an Intern and, currently, I continue to be associated with the centre, working as a research grant.